Many of us are fairly savvy when it comes to adjusting our nutrition in order to create change in our body weight. We know what it should “feel like” to be gaining or losing weight. However, when it comes to maintaining a particular body weight, many athletes aren’t as familiar with the process. 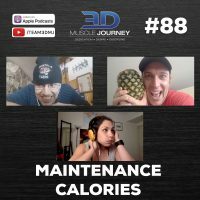 In today’s episode, Eric, Brad, and Andrea discuss maintenance calorie intake — the amount on calories (i.e. energy) you need to consume in order to maintain your current body weight. The coaches cover methods for how to determine your maintenance calorie intake, why it is a moving target, the value of tracking, and more. Join us this week to hear all about programming for the goal of maintaining your body weight, and how the methods for doing so can change based on your experience level. Thanks team, awesome content as usual! I have noticed that I have to eat significantly less food to maintain my weight the higher my training volume gets. As soon as I lower my training volume, I am able to eat much more food and feel much more satiated to maintain the same bodyweight. This seems counter-intuitive and doesn’t make any physiological sense. I was just wondering if any of you have had the same issues or know what is going on? PS I am a weightlifter not a bodybuilder but I still go through phases of massing and cutting. But I’ll definitely talk to Eric the Science Guy about that to see if he can shed some light on why that might be and if he has any advice. p.s. 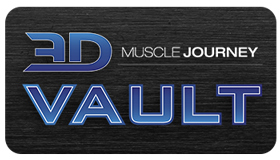 – Happy to see a weightlifter interacting over here on the site with us!